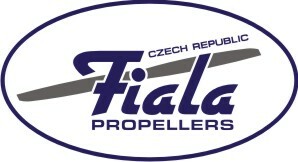 Fiala Propellers - Fiala Prop s.r.o. Company Fiala prop s.r.o., division Fiala Propellers - is engaged in the development and production of wooden propellers mainly for hobby use. Recently, also props for special purposes eg. UAV . For modellers we currently offer size range from 12 "to 40" with different pitch. Standard 8 "- 22". All propellers are available as right handed (CW - clockwise) when viewed in the flight direction or a left handed version (CCW - counter clockwise) when viewed in the flight direction. This can create a set of propellers for multicopter. The basic design is CW. The basic difference of these two categories is in the construction, when the electro prop is relieved with respect to smaller stress caused by side effects of the motor (shock, vibration, etc.). We deliver Classic propeler as 2-blade and more bladed - 3-blade, 4-blade or 5-blade. Version for 3-bladed propellers are also preparing for the electric version. We offer a propeller in 3 colors: natur (natural), black or white. All offered propellers are statically balanced and are delivered in cardboard boxes. Dimensions are burned by laser propeller and on propeller blade is printed logo. Company Fiala prop s.r.o., division Fiala Motors - in year 2013 gained to manufacture propellers also a range of products now Valachmotors the former company, which is engaged in the production four-stroke model engines. Gradually they began to expand the range of motors and in year 2015 motors began commercial reasons continue to be sold under the brand Fiala Motors. For the German company Toni Clark will continue to distribute under the brand Valachmotors. Currently a range or motors contains single-cylinder motors (60 and 70 ccm) twin boxers (85, 120, 140, 170 and 210), 120 twin inline, flat 4-cylinder 280, five-cylinder radial (250 and 420 ccm) and the peak current supply is radial seven-cylinder with volume of 800 ccm. Outside the model usage company Fiala Prop developed special UAV motor named 120B2 UAV. It is a 4-stroke boxer with a volume of 120 ccm with electronic ignition, electronic fuel injection and an electric generator, standard 250 W, but may be reached even greater performance. This motor excels suitability for a given application instance. The fact that his ceiling is 5000 m above sea level and has an extremely low fuel consumption, allowing the device driven by aggregate lasted very long in the air without refueling stopover. All motors up to 140 ccm can also be ordered with electric starter. Stearman PT-17 with our engine 420 R5. Pilot Mr. Larry Alles, wing span 140´´, weight 85 - 95 lbs. 36 % full size. Video of the latest development version of our new 250 R5 engine. Radial five-cylinder with 250cc. Weight 5.6 kg with exhaust. How to start - Fiala / Valach 4-stroke engine starting video, presented on the 250 R5 engine. It was taken on the occasion of our participation at the end of April this year at a well-known and very well-stocked event in Germany at the Bad Sassendorf Spa. The event is called ProWing and our company has been participating here for several years. The purpose of the video message and additional written information is to show users how easy and seamless our engines can be started. The procedure may be differ ent from your usual procedure and from the startup procedure for 2-stroke engines, but it is clearly worthwhile studying and applying it in practice. This is all shown on a 5-cylinder 250 ccm engine, but this can be successfully applied to all our engines! Then starting is very simple, on ProWing even this engine started by Mr. Gerhard Reinch from Toni Clark with one finger and a little finger !!! Video from the production of propellers and motors in the company Fiala Prop Click here! We would like to share with you the pleasure to see nice running motor and also the sound of the new engine VM / FM R5 250 4-T. Click here!